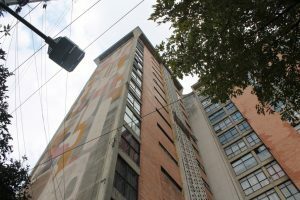 “Mexico City is a bastion of public art in the Americas, with murals, mosaics and monuments lining its most important streets. Yet the city is also highly vulnerable to earthquakes. Currently Mexican historians, artists and architects are contending with a unique predicament: What do you do with historic public art, when an earthquake can bring it tumbling down in a matter of seconds? Read the full article on Thinking City.